After cooking many a meal, I have looked at the wall behind my stove and remarked how it looks like a Jackson Pollock creation. All jokes aside, it turns out that Mr. Pollock was quite the cook and food lover himself. Now, the foodie side of Mr. Pollock has been curated side by side with the artistic side in the wonderful book, Dinner with Jackson Pollock: Recipes, Art & Nature by Robyn Lea. I find that the most creative and artistic people are not just good at one thing, they are good at many. The pages of Dinner with Jackson Pollock: Recipes, Art & Nature is full of examples of how this is true of Mr. Pollock, and it is great to see, and taste. 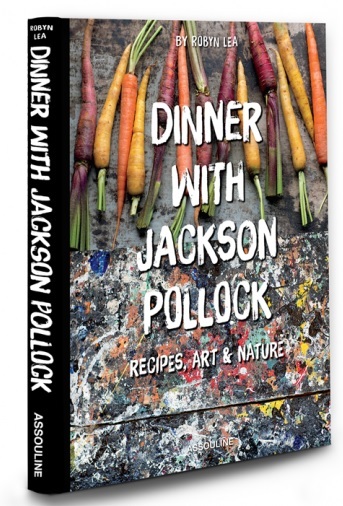 Dinner with Jackson Pollock: Recipes, Art & Nature by Robyn Lea is available from Amazon and other fine booksellers. Well, you know me, I think there is nothing like a true vintage item. 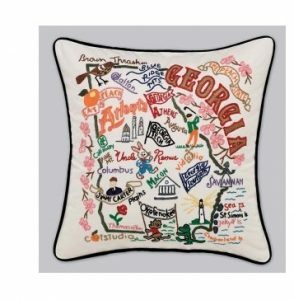 However, every now and then a fine reproduction of something old is just what you need, and there is no better place that Antique Farm House to find it. 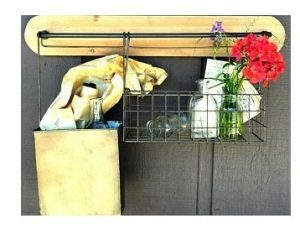 Do yourself a favor and start browsing Antique Farm House now. I drink apple cider vinegar every morning cut with ice cold spring water and I do think it has helped me in many ways. I have also jumped on the shrubs bandwagon – which is basically drinks made with flavored vinegars. 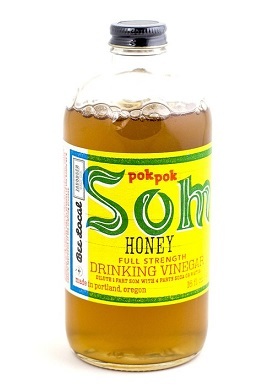 So I was intrigued when I found the Pok Pok Som Honey Drinking Vinegar from the fine folks at Bee Local. Find the Pok Pok Som Honey Drinking Vinegar from Bee Local here. See all the natural honey products from Bee Local here. I love a good old fashioned jigsaw puzzle, but when you have a great image on the poster it is even better. 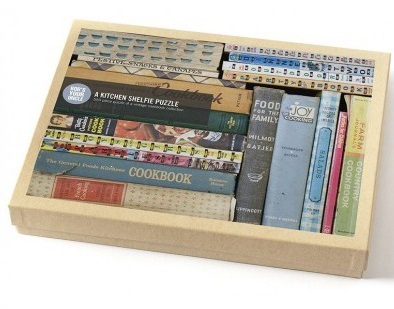 A great image like the Kitchen Shelfie Puzzle I found from the fine folks at Paper Trail. Find the Kitchen Shelfie Puzzle from Paper Trail here. 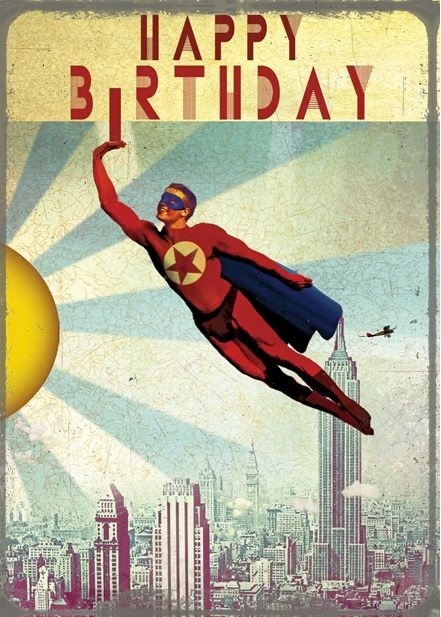 See all the great products from Paper Trail here. I have mentioned before how much I love Murphy Beds, you know, the beds that fold up into the wall when not in use. 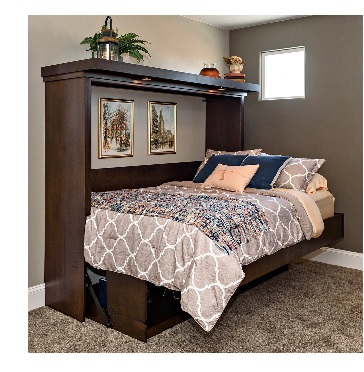 Well, I have found the best Murphy Bed I have ever seen – the Disappearing Desk Bed I found from the fine folks at Wilding Wallbeds. This Disappearing Desk Bed is perfect for me but would present a dilemma for me. Do I keep the bed open to hide my messy desk, or do I keep the desk open to hide my messy bed? Find the Disappearing Desk Bed from Wilding Wallbeds here. Check out all the cool furniture solutions from Wilding Wallbeds here. 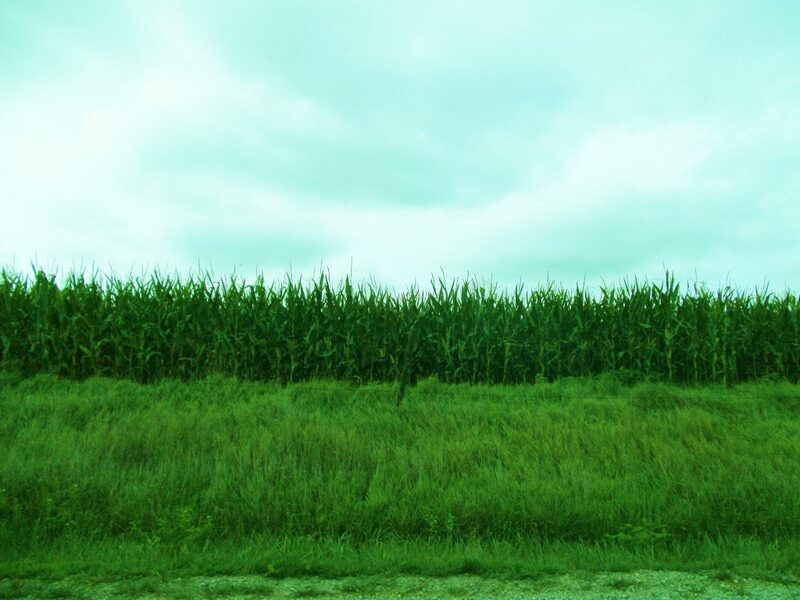 I have often said that there is nothing like a good old fashioned World War II story. I am amazed how many compelling stories are still being told all these year later – and good that they are as we need to learn from the past that was not really all that long ago. The latest untold WWII story to be uncovered and brought to us is told in the wonderful new book: The Perfect Horse: The Daring U.S. Mission to Rescue the Priceless Stallions Kidnapped by the Nazis by Elizabeth Letts. I don’t need to say much about this book as its compelling title says it all. 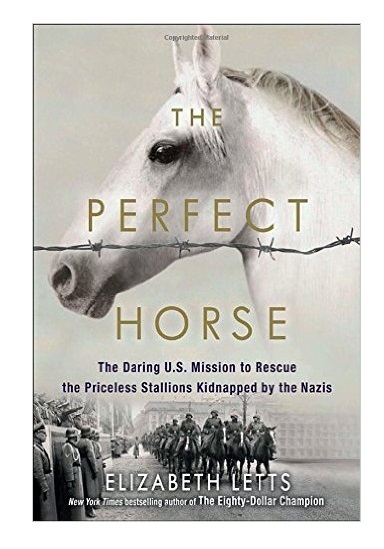 Seriously, you are not going to read a book called The Perfect Horse: The Daring U.S. Mission to Rescue the Priceless Stallions Kidnapped by the Nazis? The Perfect Horse: The Daring U.S. Mission to Rescue the Priceless Stallions Kidnapped by the Nazis by Elizabeth Letts is available from Amazon and other fine booksellers. I love the vintage tile work that adorns the old subway stations of the world’s oldest transit systems, like London and Boston. I also love that much of the original tilework has been maintained or restored when many of these stations have been refurbished over the years. Of course the Paris Metro has some of the most elegant stations and their tiles are classic designs that can inspire anyone looking to bring more tile into their home. Which is why I am obsessed with the Hand-painted Paris Metro tiles I found from the fine folks at Tabarka Studios. 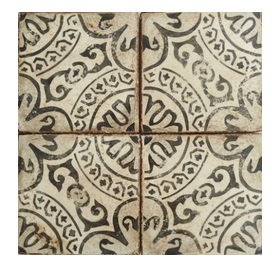 Find the Hand-painted Paris Metro tiles from Tabarka Studios here. See all the fine products from Tabarka Studios here. I know many people that have a thing about drinking out of frosted glasses. I kind of know what they mean, it can be weird, and I have always thought frosted glassed were best used as decorative glasses on a shelf or bar cart. 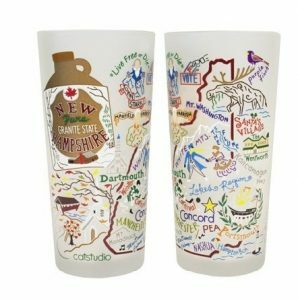 The Frosted State Tumblers – different for every state in the Union – that I found from the fine folks at Swoozies would be the perfect decoration anywhere… Or a nice gift for a friend that, say, may be living in Kansas but misses his home back in New Hampshire. Just sayin’. I love the Whale Knife I found from the fine folks at Tortoise General Store. Find the Whale Knife from Tortoise General Store here. See all the cool product available from Tortoise General Store here. 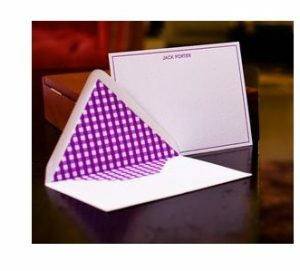 The fine folks at Forgetful Gentleman are committed to helping men send correspondences, as in reminding them about special days and such – but they also produce a nice line of Bespoke Stationery. See the Bespoke Stationery from Forgetful Gentleman here. Learn more about Forgetful Gentleman here. Lost Cowboy is powered by	WordPress 5.0.4 and delivered to you in 1.077 seconds using 58 queries.